I hate carving pumpkins. Typically, I leave that job to my husband. 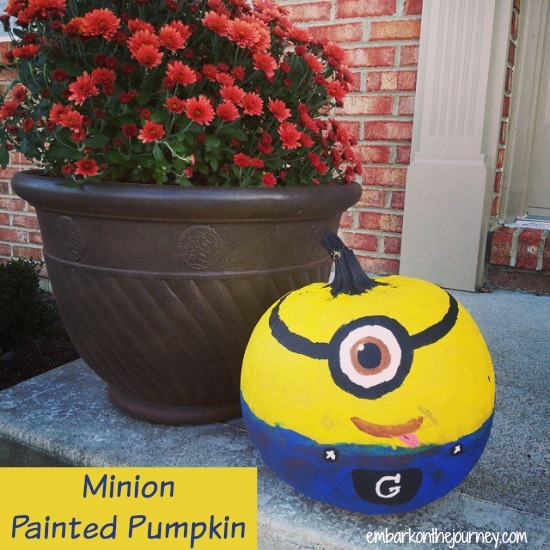 But, when I saw painted pumpkins on Pinterest, I was almost positive Emma would want to try it out this year. And, I was right! So, we headed to Walmart to grab a couple of “perfect” pumpkins. Then, we grabbed our paints and headed home. Emma wanted to do hers all by herself. So, I let her. Her lines aren’t perfect, but I love her little Minion! She loves to paint and create, and I love that she is so proud of her little guy. She’s going to be so sad when it starts to rot and we have to throw him away. Do you like to carve pumpkins? 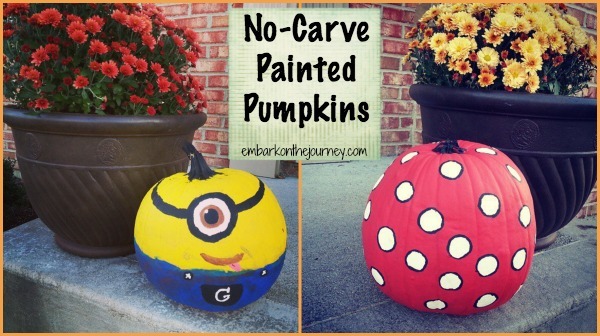 Want some other no-carve, painted pumpkin ideas? Check out the pins on my No-Carve Pumpkins board. 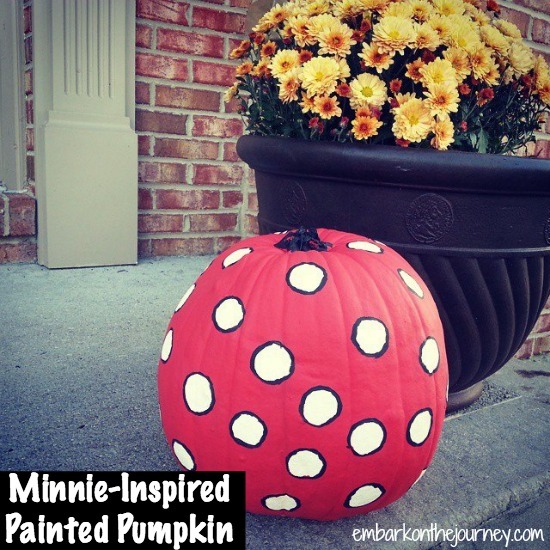 Follow Embark on the Journey’s board No-Carve Halloween Pumpkins on Pinterest.